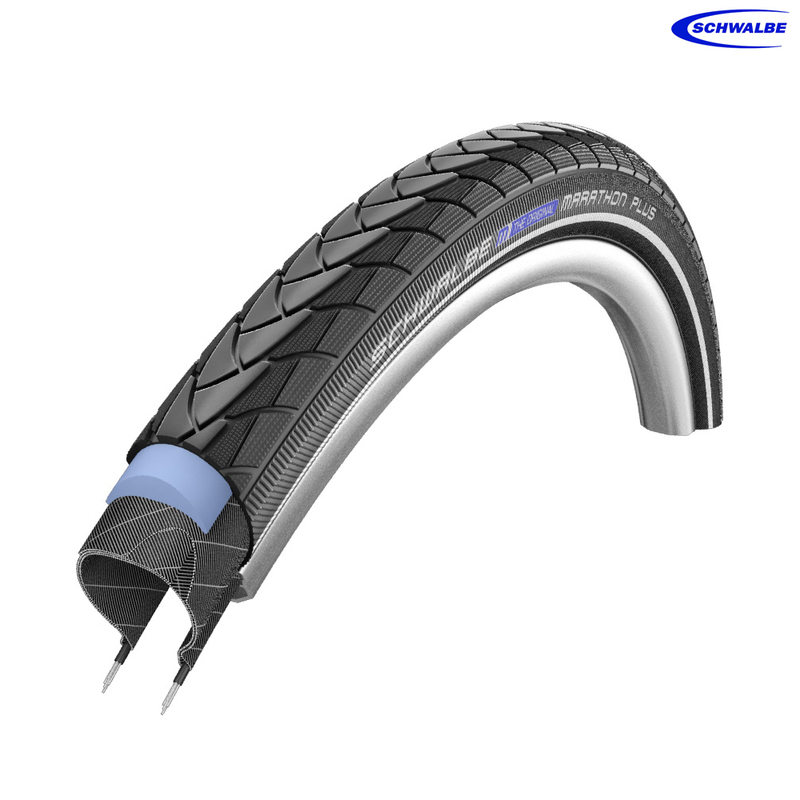 Schwalbe’s best selling model. The most puncture resistant pneumatic tyre there is. Consa biatch to get on. I have used Schwalbe Marathon tyres on a number of big wheel bikes with no complaints. The smaller the tyre the more interesting it is to put on. This is the first tyre I have ever had to resort to using tyre levers to fit, normally I can do it just with my thumbs. I am confident that the only time I will have to remove them is when they have worn out, probably in about the year 2152. You should be ok to use the tyres in question, However if your bike weighs quite a bit and if it is loaded you may be coming close to the weight limit.